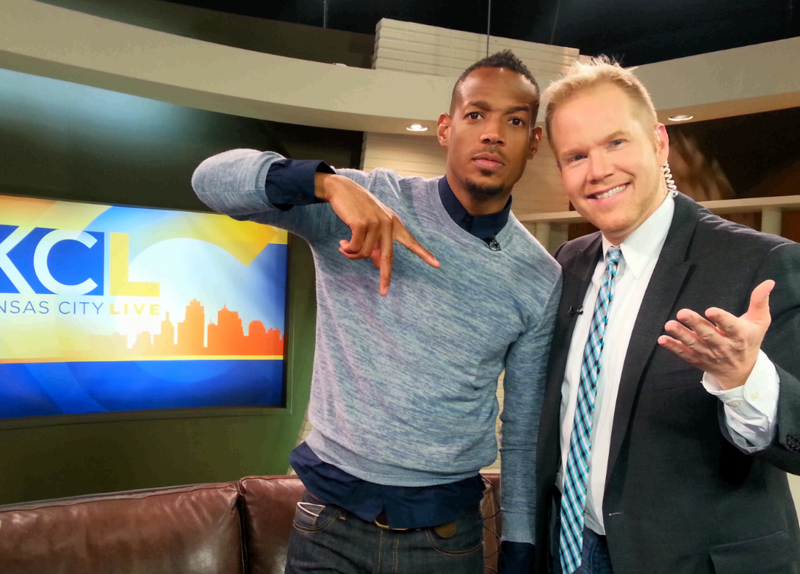 Marlon Wayans is buff as hell. He works hard at it too — mentioning he tackled an early morning CrossFit class before he ever hit the studio. Marlon is one of those stars who travels with a posse. I swear there was a gaggle of about eight folks at his beck and call — and, frankly, I couldn’t tell you what ANY of them did. But you know what they say — the bigger the star, the bigger the entourage. He had one of my favorite quotes of all time on the show saying he couldn’t care less what his critics think about his acting. “I’ve played a baby AND a white girl! I think I got this!” Truth.